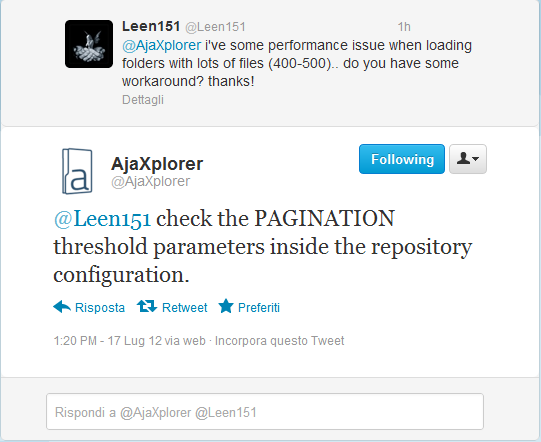 Thanks to a tweet from AjaXplorer, now I can view with no problems the folder of my mobile pictures (about 500 files). The secret stays in the PAGINATION_THRESHOLD parameter of bootstrap_repositories.php. I changed this parameter from a value of 500 to 150 and now all works fine!